ACL Staticide 3000Q Concentrate, General Purpose or Regular Heavy Duty Use. Antistatic Formula as set forth by NFPA and MIL B-81705, when tested in accordance with Federal Test Standard 101B. 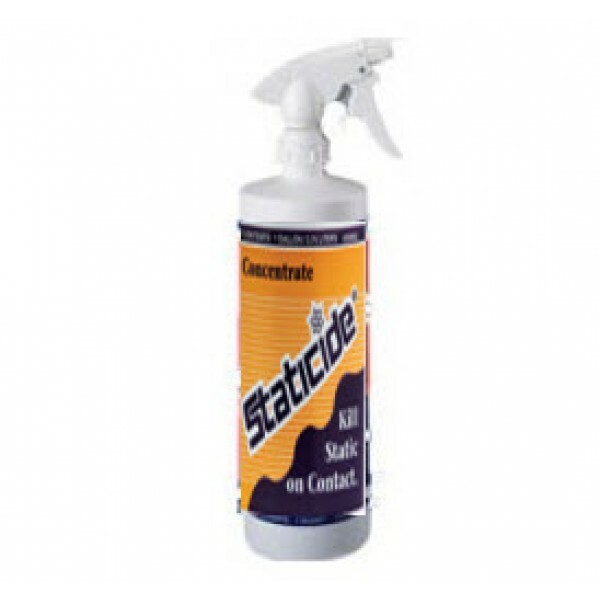 The key ingredient in many ACL anti-static solutions, Staticide concentrate eliminates a host of static control problems - especially in the electronics, textiles and plastics industries. STATICIDE concentrate is available to save freight, handling and storage costs while offering greater flexibility in dilution. See Usage icon for more detailed information. Use for #3000:STATICIDE concentrate can be diluted with the following: deionized water, isopropyl alcohol, benzene, freon, acetone, dioxane, carbon tetrachloride or Perchloroethylene, to meet various processing needs. Concentrate is packaged in quart, gallon, and 50-gallon drum containers.